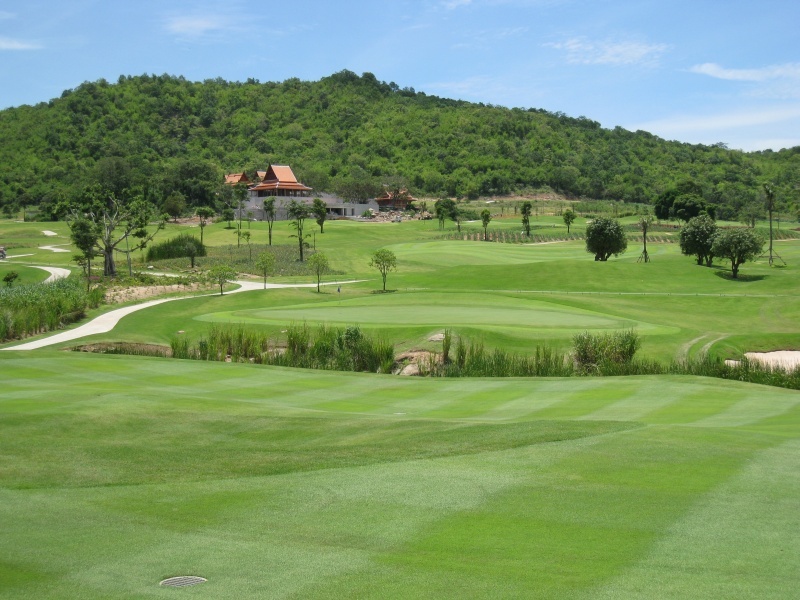 The Banyan Golf Club is a spectacular Hua Hin golf course in excellent condition and a must play for anybody planning a golf holiday in Hua Hin. This course is set in a valley and has maintained many of the original features of the local land – creeks, trees and a small “mountain” range that gives the course its name. New trees have been planted and the greens are large and well protected by bunkers. The clubhouse is magnificent and offers spectacular views of the surrounding countryside. 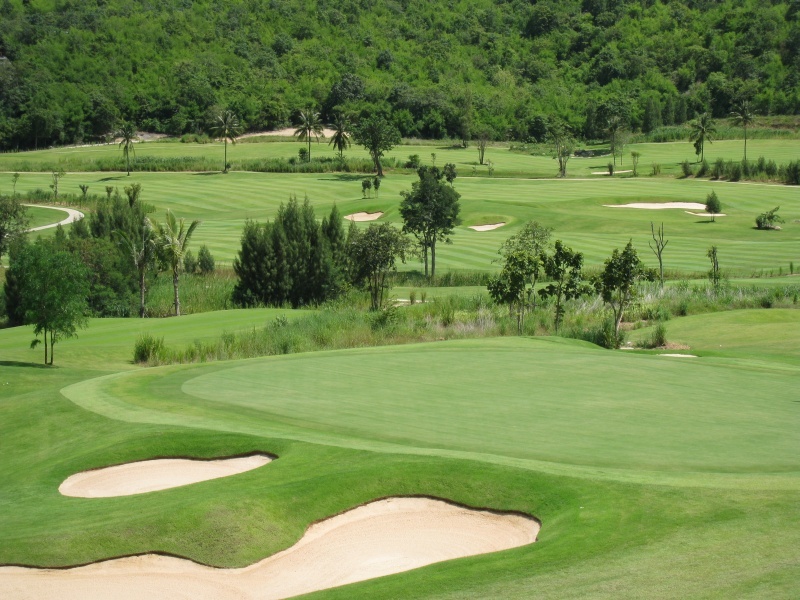 The Banyan Golf Course has been designed by one of Thailand’s leading golf course design companies Golf EAST. 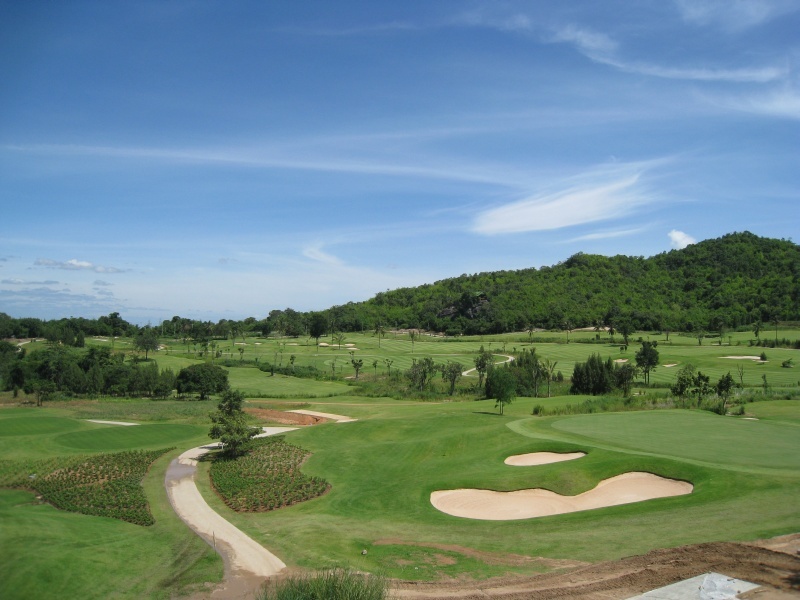 Whose notable previous successes have included renovation of The Blue Canyon Country Club Phuket, Tublamu Golf Club Phangnga and Santiburi Samui Country Club on Koh Samui. 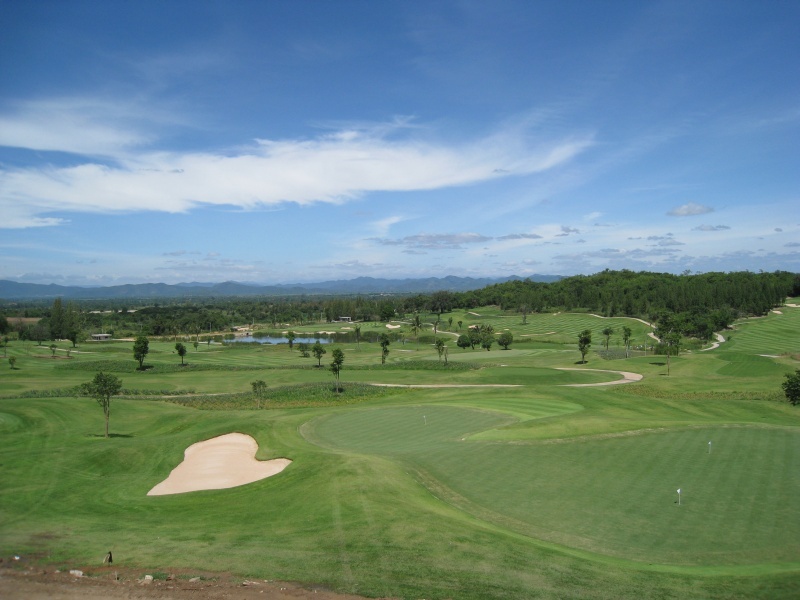 Khun Pirapon Namatra Managing Director of Golf East believes that The Banyan Golf Course has a very natural feel to it and by its design has the potential to be the best golf Course in Thailand, if not in South East Asia. 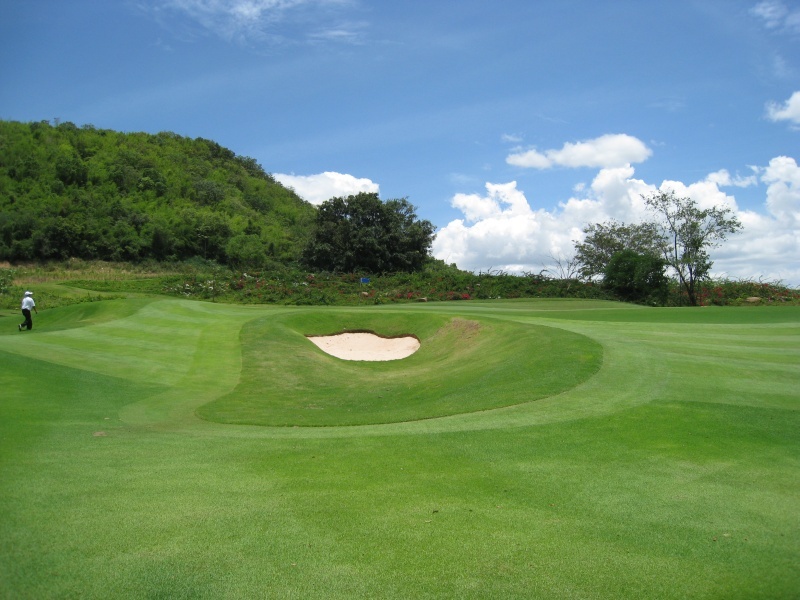 The Banyan Golf Club Hua Hin just south of town is created out of an existing pineapple plantation tucked in between one small mountain and a large mountain range that will be the backdrop to this 7361 yard par 72 course with four sets of tees. 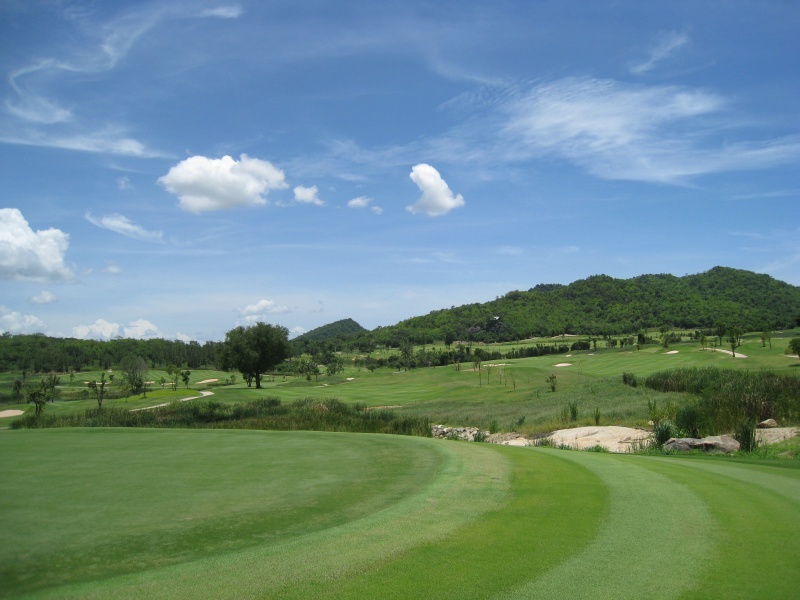 The course has many dramatic and panoramic views of the gulf, the lush mountains and Hua Hin. Each hole has 6 tee boxes making the course more or less challenging depending on each golfers abilities and tee selection. Strategically placed water hazards, waste bunkers, and sand traps are spread out throughout the course. Significant use of native pineapple groves make local “fruits” come into play if you stray too far off most fairways on your Hua Hin golf tour. 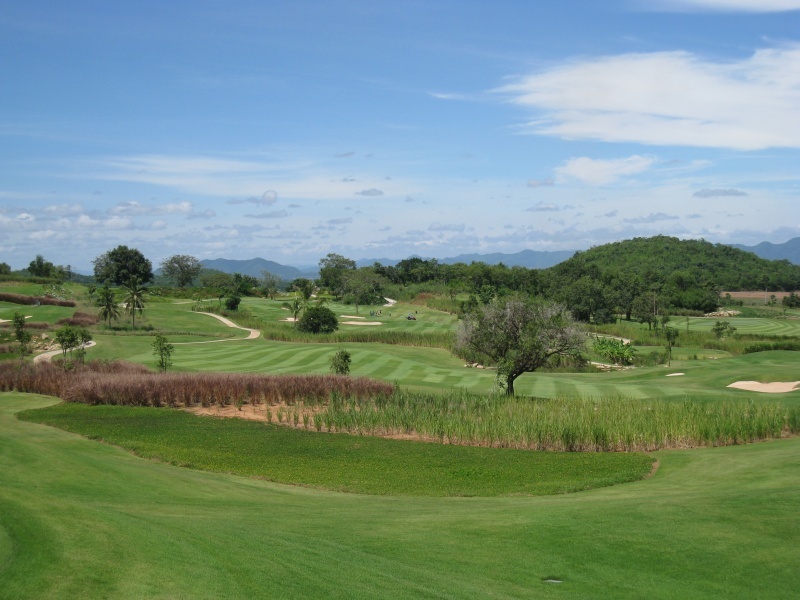 Lush Zyosia fairways, a local grass but a rarely seen on golf courses in Thailand, are a pleasure to hit from as balls sit up nice throughout the fairways and roughs. Dark green Paspalum tee boxes add to the stark color contrast on the course and are a nice decorative feature. 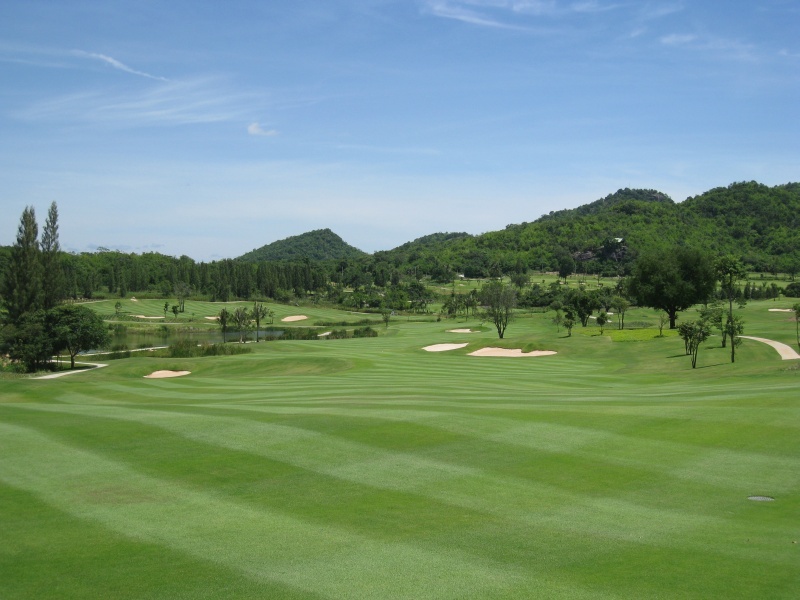 Greens, constructed of the same Tiffeagle grass as used at other Thailand premier courses like Thai Country Club and Alpine Golf Clubs in Bangkok, makes for fast but receptive putting surfaces.